Let’s turn back the clock—about 35-40 years ago. How many of you then were eating out in fast food establishments? In 1970 in the United States, the collective population spent about 6 billion dollars on fast food. The most recent statistic now has that number at 110 billion dollars. The amount of fast food establishments has doubled. Right now in America, one out of three children is eating fast food at least once a day, and fast food is averaging 12.4% of their daily calories. Think back and let’s try to remember—how many take-out stores were there? But times have changed. There are many more options for eating out and there are many more take-out stores. This being the case, what’s so bad about eating out and taking out? After all, it saves us from buying the food, cooking the food and cleaning up afterwards! First, eating food prepared in a restaurant will automatically increase your calories. The average meal in restaurants are between 160 and 310 calories more than the equivalent meal someone would cook for themselves. They usually use more sugars, salt and fat than we would cook with. Too much sodium causes your body to retain water. It makes you feel bloated and uncomfortable. But that’s the least of the damage overly salted foods can do. Sodium also can contribute to existing high blood pressure or enlarged heart muscle. If you have congestive heart failure, cirrhosis, or kidney disease, too much salt can contribute to a dangerous buildup of fluid. Excess sodium may also increase your risk for kidney stones, kidney disease, and stomach cancer. Sugars may add taste but they also add calories, empty calories that have no great nutritional value. We are already consuming about double the amount of sugar that we need to consume. The American Heart Association points out that all of those extra calories contribute to heart disease. Many fast food places and restaurants use trans-fats. Trans-fats are on my list of “do-not-eat” ingredients. 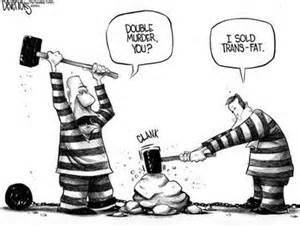 Trans fats are a manufactured fat with no extra nutritional value. They’re considered so unhealthy that some countries have banned their use. Often found in fast food, trans-fats are known to raise LDL (bad) cholesterol levels. They can also lower HDL cholesterol, which is the so-called good cholesterol. Trans-fats may also increase your risk of developing type 2 diabetes. In addition, keep in mind that the only way equivalent style and quality restaurants can compete with each other is to offer bigger portions. Over the years, those portions have gotten bigger and bigger. A typical fast food hamburger today is 250 calories. That is roughly 30% more calories than 40 years ago for the same burger. If you are going out, when you look at the menu, there are definitely things to avoid. Flavor enhancers such as MSG are also very common– particularly in oriental style places. MSG often leaves a person with a headache and bloating and if there is a strong sensitivity or allergy to it, the effects can be more severe. Choices that contain the words, “Alfredo”, Breaded”, “Creamy”, “Crispy”, “Tempura”, or Parmigiana” always indicate a high-fat, high-calorie content. Instead, look for the words, “steamed”, “poached”, “roasted”, “boiled”, “grilled”, and “baked”. Today’s society is more demanding in the workplace and expectations of us, both in terms of work and family, can be trying and time consuming. That is why takeout food is far more prevalent today. Many people think that cooking and preparing have to take a vast amount of time. The truth is that it doesn’t have to! There are many cookbooks today that specialize in simple, quick dishes which are all very tasty. You can double your recipes and freeze to save time, too. 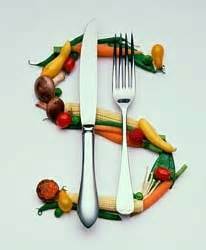 Aside from avoiding poor choices for your health, you will save a lot of money over the long term by cooking at home. Many people are saving approximately hundreds of shekel, pounds, and dollars a month by cooking at home and not ordering takeout. In addition, you can take your leftovers with you to work for at least a few days so that you save money from purchasing food in or near your workplace. After all, it also takes time to go to a takeout place, wait in line, make your order and then come home. When you go out to eat it is pretty much the same story. Waiting in line at a fast food restaurant or waiting for the waiter or waitress to take and process your order in a sit-down restaurant all take time. When you prepare food at home, you are in charge. You determine the kind of food and how to keep that balanced. You can also decide on portions. 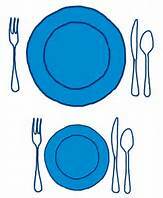 If you serve by filling plates and bring them to the table just like restaurants do, people have to ask for seconds and not just take a serving plate or bowl from the middle of the table. The Center for Disease Control (CDC) reports that 76 million people are poisoned by food each year in the United States. This is caused by bacteria, viruses and parasites that can seriously harm or even kill you. People who work in food establishments are not as careful as you are when handling food. When preparing meals at home you control the temperatures when cooking meats, keep hands and countertops clean and properly wash your raw produce. And finally, when you cook at home, you set the table. Restaurants are using huge plates. They are now usually 12 inches in diameter. 20 years ago they were 10 inch diameter plates and that’s up from the 8-9 inch plates used in the 1970’s. Use normal size plates, don’t overfill serving bowls and also, using water for your beverage will go a long way to keeping your weight in check. There will always be times when we will go out– but it has to be an exception and not the norm. Yes, for many taking out food or going to fast food might seem convenient. But in the long term, eating that type of food will end up costing money, time and health.